Despite its amusing name, the so-called “Frankenstorm” is no laughing matter. 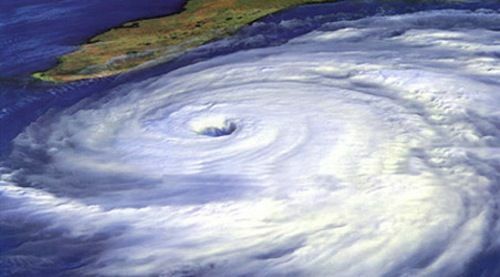 Currently classified as a category one hurricane, hurricane Sandy could merge with a winter storm creating the hybrid monster which forecasters have dubbed “Frankenstorm.” The storm is projected to hit the US on Monday and could cost upwards of $15 billion in damage. The monstrous storm has already caused approximately 40 deaths in the Caribbean alone. Although motorists are encouraged not to drive in a potentially deadly storm, there are several safety precautions drivers can take if he or she must be on the road. -	Drivers should fill up their gas tanks. This is crucial because power outages would render fuel pumps useless. -	Ensure that windshield wipers are in working order. -	Thirdly, tires should be properly inflated. -	Motorists also need to remove unnecessary items from the trunk, replacing it with an emergency road kit. The kit should include a flashlight, rain gear, extra clothing, jumper cables, jack and spare tire. -	Pay attention to signs. Not surprisingly, motorists should never attempt to drive on any closed roads or evacuated areas. -	Headlights should be turned on at first sign of rainfall, not just darkness. -	Significantly reduce speed. Reduced visibility means reduced speeds. -	Remember to increase following distance. The typical 2-3 seconds of following distance should be increased to 8 seconds during a storm. -	Never drive in a flooded area, especially with flowing water. Motorists encountering a flooded area should seek an alternate route. Owners of pickup trucks and SUVs are not exempt and should take heed in this warning. -	Lastly, be on the lookout for debris on the roadway. Remnants from the storm, especially downed wires are dangerous and can cause a fire. -	Take pictures of their damaged vehicle for insurance purposes and contact their insurance agent. -	Contact the power company if downed power lined are on their vehicle. Drivers should never attempt to remove the wires.